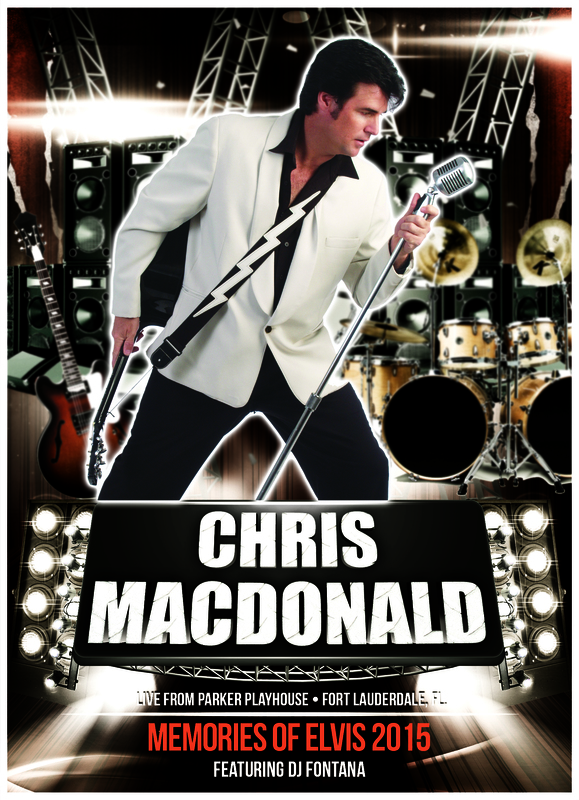 Chris MacDonald Memories of Elvis in Concert live at the Olympia Theatre in Miami, Fl. Chris and his production band perform on the same stage where Elvis rocked the record breaking crowds, back in 1956. Most Recent Full Production Concert filmed live at the Broward Center for the Arts in Ft. Lauderdale Florida with special guest star D.J Fontana "The Beat Behind the King" Elvis's original drummer performs with Chris for some of Elvis's legendary early 1950's hits including Jailhouse Rock ,Hound dog and Don't Be Cruel. Chris also does all the outfit changes and performs Elvis's hits from the 1950's ,the Movies, the 1968 Comeback(Black Leather) and the White Fringe 1970's Vegas Concerts. 2hours of music that's fun for the whole family.